Earlier this month, Canadian Journalists for Free Expression (CJFE) tore into Israel, and learned that sometimes, it's best to temper your outrage. Sensitivities matter. So, evidently, does the nationality of the journalists being attacked. Call me radical, but I've always thought there are at least two subjects on which journalists are absolutely entitled to express public opinions: freedom of expression, and attacks on journalists. I am all for the former, and firmly against the latter. Surely we all are. Apparently, though, taking such a position in Canada can damage our credibility, and should be avoided. At least in certain circumstances. 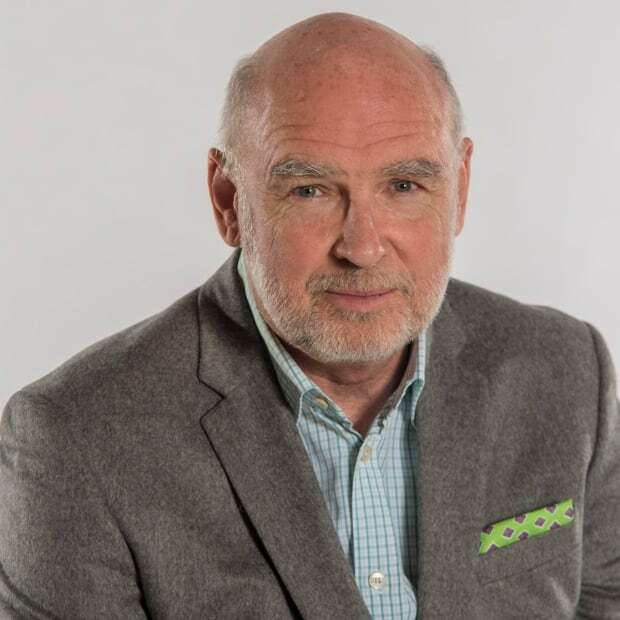 I can draw no other conclusion from the uproar over a statement by Canadian Journalists for Free Expression (CJFE), a laudably titled group that regularly denounces suppression of speech and journalism in countries such as Iran, Egypt, Saudi Arabia, Russia and China. The group's statements are blunt, as they should be. In 2016, for example, the CJFE demanded Prime Minister Justin Trudeau address repression in China during any official discussions: "China is one of the worst perpetrators of crimes that silence the voices of activists, journalists, artists and others who exercise their right to freedom of expression," it declared. No controversy ensued. Why would it? Nor were journalists upset when CJFE denounced the regime in Egypt, which has massacred protesters and imprisoned journalists whose coverage it didn't like, or Pakistan's "culture of impunity" when it comes to murdering journalists, or the conduct of the government of Iran, which CJFE demanded Trudeau urgently address. Or its multiple denunciations of the Syrian military, which has killed various journalists, notably American war correspondent Marie Colvin, whose reports of violence against civilians the Assad regime found so annoying. Then, earlier this month, CJFE tore into Israel, and learned that sometimes, it's best to temper your outrage. Sensitivities matter. So, evidently, does the nationality of the journalists being attacked. The CJFE was reacting to the Israeli military's use of live ammunition against tens of thousands of Palestinians who have protested, some in bellicose fashion, inside the fence that keeps 1.8 million people penned up in Gaza. Israeli troops deployed on the other side of the fence have to date killed at least 30 people, and, according to Palestinian health authorities and reports in Israel, shot and wounded hundreds of others, including at least nine journalists. Israeli troops also killed a journalist a few days after CJFE released its statement. 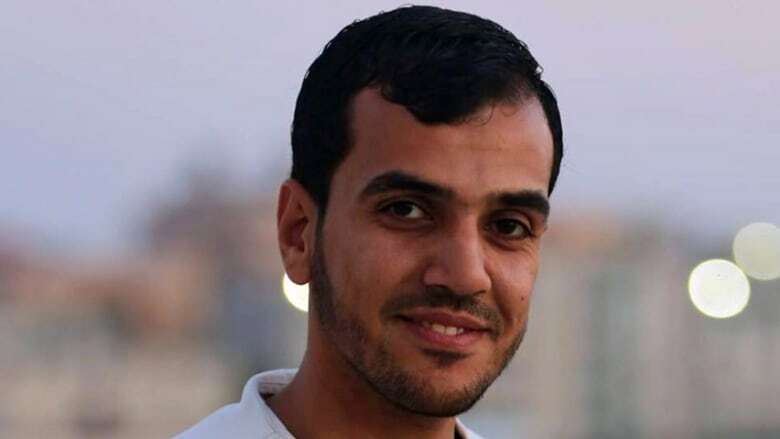 Yasser Murtaja, of Ain Media in Gaza, was shot in the abdomen April 6 while wearing a blue flak jacket emblazoned with the word "PRESS." The picture of Murtaja lying mortally wounded was a dreadful reminder of journalistic vulnerability, particularly for those of us who have reported from war zones while wearing exactly the sort of blue jacket he had on when he was gunned down. The CJFE's outrage was full-throated. On April 2, after the first round of demonstrations and shootings, it accused the Israelis of a massacre, of "extrajudicial killings," and of using "one-sided military force against civilian protesters and media." It demanded Canada condemn the killings, and use all means to pressure Israel into convening an inquiry. The statement denounced attacks on both journalists and protesters, something CJFE has done in the past with respect to other countries. Earlier this year, when the regime in Iran unleashed another of its murderous crackdowns against pro-democracy protests, CJFE organized a petition and issued a statement without ever mentioning journalists. It also scathingly denounced Saudi Arabia's savage crackdown on non-Sunni dissidents, which again had nothing to do with reporters, calling the kingdom one of the "world's worst offenders" against free expression. In any case, I did not find the CJFE statement about Israel outrageous. But then, I stood and watched in 2001 as an Israeli border policeman took careful aim during skirmishes near Ramallah and shot Bertrand Aguirre, a friend and fellow reporter, in the chest. The shot flattened Aguirre, but the armour plate in his jacket saved his life. Aguirre's employer, France's TF1, demanded action; Israel basically ignored the protest. I also stood in a border kibbutz in 2000 and watched as an Israeli tank fired a single artillery shell across into Lebanon at the vehicle of the BBC's Jeremy Bowen, another friend and colleague who was taping an on-camera report in an otherwise empty field just down the hill. The shell killed Abed Takkoush, a longtime BBC journalist based in Beirut, who'd been working with Bowen. The BBC, which collected footage from multiple cameras that filmed the killing, sent Bowen out to do interviews. He flatly called it a war crime. In fact, the Israeli military has shot several foreign journalists over the years. And at least 17 have been killed while working in the occupied territories, according to the Committee to Protect Journalists. (At least one was killed by unknown Palestinian thugs; Palestinian officials have demonstrated little regard for the safety or work of their journalists, or human rights, for that matter. The late Yasser Arafat controlled them tightly, and imprisoned those who criticized his authority). The Foreign Press Association in Jerusalem, of which I was a member, pressed the Israel Defence Forces (IDF) for investigative action on several occasions, but without much result. We felt it necessary to publicize the attacks, for our own safety's sake. Personally, I saw no organized malevolence toward reporters in the IDF; I'd dealt with enough Israeli soldiers to know that many of them operated by the book. But I also knew very well that others among them were fanatics, some from ultra-nationalist settlements, and considered foreign journalists enemies of the Jewish State. And some of Israel's supporters abroad took nearly as dim a view of my craft. Pro-Israel media "watchdog" groups and other activists in Canada, the United States and the U.K. are quick to attack, characterizing reporters whose coverage they don't like as Israel-haters or anti-Semites, urging their readers to mount letter-writing campaigns. Their efforts have worked; many journalists and editors have come to understand that critical coverage of Israel can result at minimum in a professional headache, and at worst in career damage. Former British Zionist Federation leader Andrew Balcombe actually once demanded that the BBC replace Jeremy Bowen after he made critical remarks about Israel in a memo, reasoning that Israel's killing of Bowen's colleague during the episode in Lebanon "may have coloured (his) views about Israel…"
If Israel says a shooting is an accident, its allies abroad accept the explanation immediately. If Israel says it was defending itself against violent attackers and terrorists, as it did after the Gaza shootings, they repeat the message loyally, and attack anyone who reports otherwise. Sometimes they remind news organizations of the IDF's Purity of Arms code, held up by Israel's supporters as proof that Israel maintains the most moral army in the world. 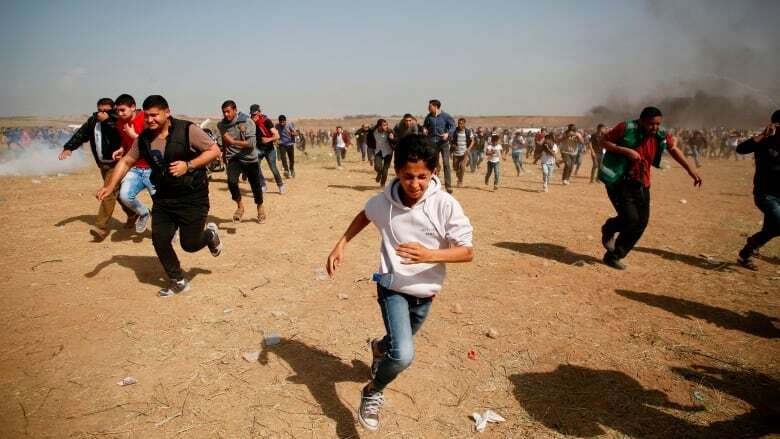 What they ignore is the fact that Israeli troops are very good at hitting what they aim at, and sometimes their targets are unarmed civilians, as the vast majority of the Gaza protesters were, or unarmed journalists. This is not a "fog of war" issue. As the IDF put it in a now-deleted tweet about the Gaza shootings: "Everything was accurate and measured; we know where every bullet landed." In other words, whoever shot Yasser Murtaja did so deliberately. Purity of arms was evidently not a concern. In fact, footage recorded by an Israeli soldier and published in an Israeli newspaper showed other troops laughing and cheering as a sniper dispatched an unarmed protester during an earlier incident at the Gaza fence. Likud politician Oren Hazan summed up what happened in Gaza neatly: "What's all the fuss about?" he tweeted. "Anyone who approaches the fence, armed or not, is gonna get it. As it should be!" Israel's defence minister congratulated the snipers. Given all that, the CJFE statement would seem unremarkable. But there is principle, and there is reality. The organization is financially strapped, and controversy can repel donors and prominent journalists were distancing themselves. After a few days, the organization recanted. It pulled the statement, the employee who wrote it is no longer on staff, its president resigned and the board of directors issued a new, much less barbed declaration. CJFE spokesman Tom Henheffer told me the original statement was in line with the organization's mandate and positions it has taken in the past, but noted that it was "unfortunately interpretable." He added: "The political situation is fraught for us." I also spoke to my CBC colleague Carol Off, who resigned from a CJFE volunteer role over the original statement. First, she said, the language of CJFE's communiqués has been growing more activist in recent months, protesting assaults on speech even more often than assaults on journalists. And second, "I think Israel's excesses should be treated differently than those of Saudi Arabia. Israel has democratic institutions, a free press and a claim to transparency. Saudi Arabia does not. And so I think the language is different, as it would be for the United States. Israel has pressure points. It's possible to actually make an appeal for accountability from Israel. Whether it works is another story." Two things about that: The fact that Israel is a democracy, with the expectation of rule of law that implies, surely justifies even greater criticism when its security organs behave like those of the surrounding regimes. In any event, though, my observation — and I suspect, the observation of any foreign reporter who has spent time in Israel — is that such appeals to Israel's institutions don't work. The excesses of Israeli soldiers, as Off characterizes them, are almost never punished. Criticism from organizations like CJFE (or from the prosecutor of the International Criminal Court) stings, and may therefore be useful. For a journalist working in Gaza or the Occupied Territories, a PRESS badge offers limited protection at best. For a Palestinian journalist, it clearly offers none at all. The U.S.-based Committee to Protect Journalists bluntly called those responsible for Murtaja's death "killers." Good for the CPJ. I'm sending a donation.